This course is intended for Movement Professionals. 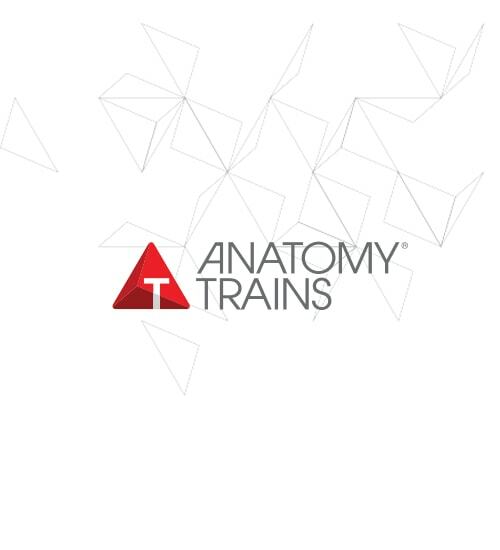 Anatomy Trains in Motion is an in-depth 3-day course for movement and bodywork professionals who love integral anatomy and body-minded exercise applications that relate to real-life in all of its dimensions. This resource-oriented education focuses on the qualities of Thomas W. Myers’ Anatomy Trains concept that enhance everyday functionality and vitality as well as somatic resourcefulness; therefore self-healing. The integral anatomy of the myofascial meridians is explained in interactive lectures and experienced through body-minded movement applications. For a clear comprehension of the structural and functional aspects, anatomical structures are discussed individually and as part of a myofascial meridian that shapes posture, movement and how we feel about the body. To further connect anatomy and function, science-informed fascial qualities are exemplified and embodied with deliberate exercise examples throughout the course. In a unique way, Anatomy Trains in Motion directly links the anatomy of the myofascial meridians with the essential events of walking and body-minded movement training. Because we want to foster independent thinking and individualized learning, we encourage an inquisitive mind and facilitate understanding through movement explorations. Concluding the course, you will have a clear understanding of why the myofascial meridians are defined the way they are and why the Anatomy Trains concept is of immense value for all body-minded movement methods that aim for structural integrity. Anatomy Trains in Motion is a self-contained course that is also the first module of the Slings Myofascial Training® diploma education. Have a deeper understanding of the value of the Anatomy Trains concept as an integral body map for movement. Superficial Front Line, Lateral Line and Spiral Line. Understand the course and experience the workings of the Deep Front Line, Front Arm Lines, Back Arm Lines, Back Functional Line, Front Functional Line and Ipsilateral Functional Line. Understand the overall postural and movement functions as well as sensory qualities of the myofascial meridians. Have essential knowledge of the interplay of muscles and fascia in motion. Understand functional aspects of the myofascial meridians and ways to improve them with a fascia-focussed movement training. Body-minded movement perspective: The anatomy of the myofascial meridians is explained through the lens of body-minded movement and somatically oriented learning. Linking anatomy, gait, holistic training: The course structure directly links the anatomy of the myofascial meridians with the essential events of walking and body-minded movement training. Differentiated integration: Individual anatomical structures are discussed in detail and as part of the myofascial meridians that shape posture, movement and how we feel about the body. Proprioception and interoception equated: Proprioception (how we coordinate posture and movement) and interoception (how we feel about our posture and movements) are equally valued and considered. Science-informed embodiment: Science-informed fascial qualities and functional movement applications are discussed in interactive lectures and embodied with deliberate body-minded exercise examples. Resource-oriented approach: Aspects of the Anatomy Trains concept that enhance functionality are used as a tool to strengthen vitality and somatic resourcefulness; therefore self-healing. Guided by ATSI protocol: The philosophy and strategies of the Anatomy Trains Structural Integration bodywork concept are reflected in the organization of the ATiM course. Part of a diploma education: ATiM is a self-contained course that is also the first module of the Slings Myofascial Training® diploma education.